Summary #2 Of The SE NM Severe Weather Outbreak Wednesday, Oct 21, 2015. Mile Marker #131 On US Hwy 285 North Of Roswell, NM. Courtesy Of Chaves County Skywarn Coordinator Jim Tucker. 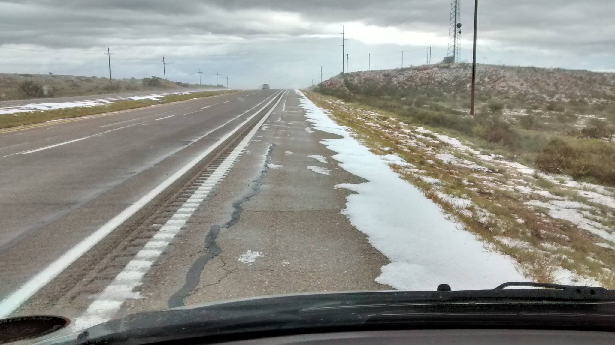 This is part two of the summary of the severe weather outbreak across Eddy and Chaves Counties in southeastern New Mexico this past Wednesday. You can visit the Chaves County Skywarn Page via this link. 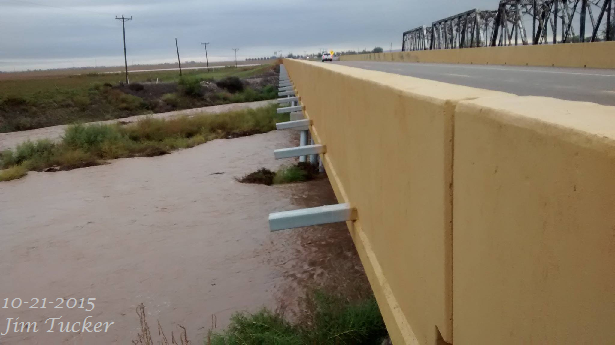 Flash Flooding On The Rio Felix Arroyo Near Hagerman, NM. Hail Damage In Atoka & Artesia. 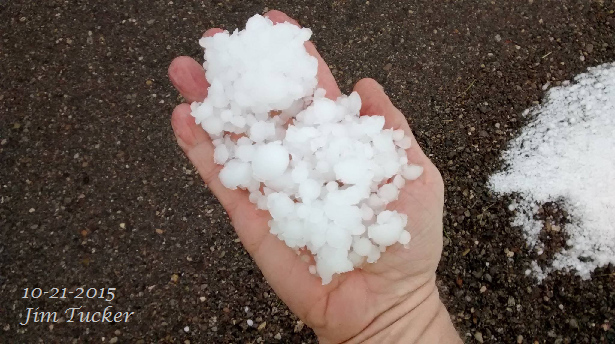 Hail was to my brothers alfalfa hay field in Atoka, five miles south of Artesia and to trees at my mothers house at the same location. Hail damage to my daughters neighbors Pistachio tree on south 4th street in Artesia. 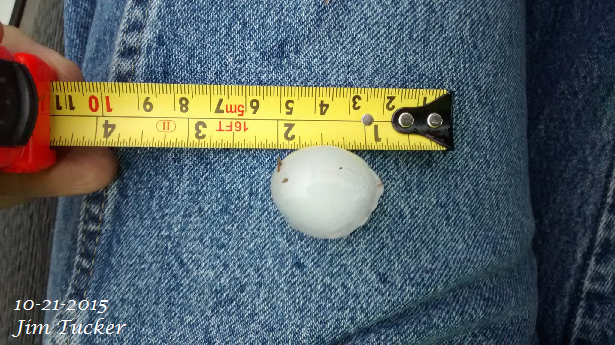 Hail damage appeared to be sporadic across south Artesia and Atoka. Part one of this storm damage can be viewed via this link. NWS Midland 24-Hour Rainfall Reports. 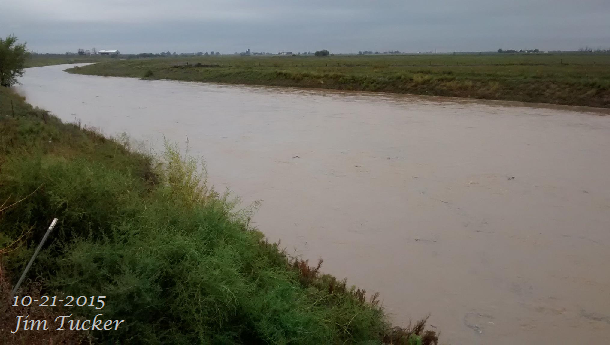 As Of 9:22 AM MDT Thursday, Oct 22, 2015.